Any conductive material is a candidate for electrical discharge machining. EDM notches can be machined on the outer diameter (OD) and inner diameter (ID) of pipe and tube. EDM allows for notches to be machined on IDs as small as 0.040" (1.0mm). Notches can be designed to match a contoured surface, ensuring uniform depth along the entire length. Square Notch – Otherwise known as the “buttress” notch, this notch has parallel-sided walls and minimal corner radius at the bottom. Typical of notches over 0.010" (0.25mm) wide. Square notches are available in depths from 0.0001" (2.50µm), widths from 0.010" (0.25mm), and lengths from 0.005" (0.13mm) through 12.000" (305mm). U-Notch – This notch features parallel-sided walls at the entry surface and a corner radius at the notch bottom that resembles a U-shape. Typical of notches under 0.010" (0.25mm) wide. U-notches are available in depths from 0.0001" (2.50µm), widths from 0.002" (0.05mm), and lengths from 0.005" (0.13mm) through 6.000" (152mm). Nano Notch – The absolute narrowest notch available today. Widths start from 0.0006" (15.0µm), depths from 0.0001" (2.5µm), and lengths from 0.005" (0.13mm) through 1.000" (25.4mm). Some depth limitations may exist, depending on alloy and configuration. We hope this piece has helped to clarify available notch configurations. 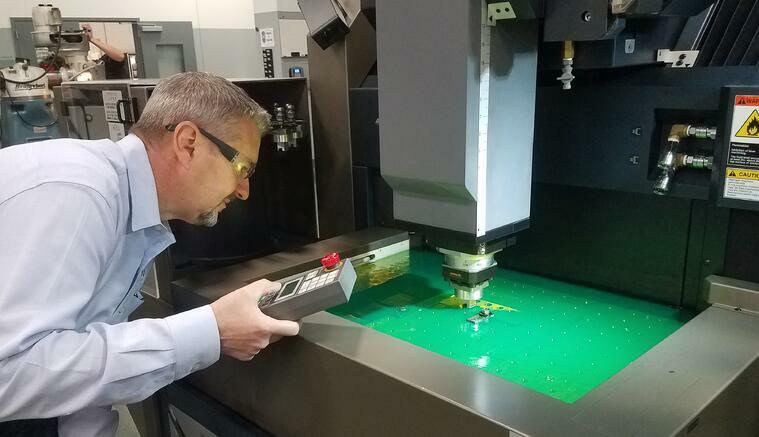 These are just some of the many possibilities that exist for EDM-machined features. To learn more about Nano Notches and other EDM possibilities, contact PH Tool Technical Sales.